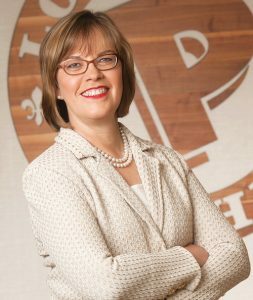 DALLAS - May 21, 2018 - PRLog -- Cheryl Bachelder, the former CEO of Popeye's Louisiana Kitchen, will keynote the 2018 DFW Technology Prayer Breakfast. The fifth annual event will take place at 7 a.m. on Friday, Oct. 5, 2018, at the Irving Convention Center. Bachelder is a passionate, purpose-led business leader known for her sharp strategic thinking. Guided by the principle of servant leadership, she believes highly caring, collaborative leaders who seek the success of the enterprise free people to do their best work. At the October event in Irving, she will speak on the impact of faith on business leadership. Putting her career on hold at times to be a full-time mother and homemaker, Bachelder became senior vice president of marketing and product development at Domino's Pizza in 1993. "Cheryl's passion for learning from the challenges we face throughout our careers is a great example to our business community," says Steve Helms, President of DFW Technology Prayer Breakfast. Previous keynote speakers include Onyeka Nchege, VP and CIO at Interstate Batteries; Pat Gelsinger, CEO at VMware; Todd Stewart, president at Gulf Winds International; Gary Peek, VP IT at Rent-A-Center; and Steve Reiter, CEO at SCA. Volunteers, table hosts, and sponsors are invited to join our team preparing for the Oct. 5 event. To learn more about volunteering opportunities, go to dfwtechpb.com. in the Metroplex and encourages them to live out their faith in the workplace. Launched in 2014, the all-volunteer organization is registered as a 501(c)3. Learn more at dfwtechpb.com.